Prescription data obtained by ProPublica shows wide use of antipsychotics, narcotics and other drugs dangerous for older adults, but Medicare officials say it's not their job to look for unsafe prescribing or weed out doctors with troubled backgrounds. Update, March 14, 2016: On March 11, 2016, a federal judge in Chicago sentenced Dr. Michael Reinstein to nine months in prison for taking kickbacks from the makers of the antipsychotic drug clozapine, for which he was the nation’s top prescriber. He was also ordered to pay a fine and serve community service, the Chicago Tribune reported. This story was co-published with The Washington Post. Ten years ago, a sharply divided Congress decided to pour billions of dollars into subsidizing the purchase of drugs by elderly and disabled Americans. The initiative, the biggest expansion of Medicare since its creation in 1965, proved wildly popular. It now serves more than 35 million people, delivering critical medicines to patients who might otherwise be unable to afford them. Its price tag is far lower than expected. But an investigation by ProPublica has found the program, in its drive to get drugs into patients' hands, has failed to properly monitor safety. An analysis of four years of Medicare prescription records shows that some doctors and other health professionals across the country prescribe large quantities of drugs that are potentially harmful, disorienting or addictive. Federal officials have done little to detect or deter these hazardous prescribing patterns. Searches through hundreds of millions of records turned up physicians such as the Miami psychiatrist who has given hundreds of elderly dementia patients the same antipsychotic, despite the government's most serious "black box" warning that it increases the risk of death. He believes he has no other options. Some doctors are using drugs in unapproved ways that may be unsafe or ineffective, records showed. An Oklahoma psychiatrist regularly prescribes the Alzheimer's drug Namenda for autism patients as young as 12; he says he thinks it calms them. Autism experts said there is scant scientific support for this practice. The data analysis showed widespread prescribing of drugs such as carisoprodol, which was pulled from the European market in 2007. In 2010 alone, health-care professionals wrote more than 500,000 prescriptions for the drug to patients 65 and older. The muscle relaxant, also known as Soma, is on the American Geriatrics Society's list of drugs seniors should avoid. The data, obtained under the Freedom of Information Act, makes public for the first time the prescribing practices and identities of doctors and other health-care providers. The information does not include patient names or the reasons why doctors prescribed particular drugs, so reporters interviewed the physicians to learn their rationales. 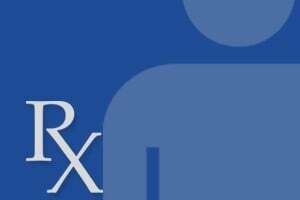 Prescribers: What Do You Think About Medicare Part D? Medicare has access to reams of data about its patients, their diagnoses and the medical services they received. It could analyze all of this information to determine whether patients are being prescribed appropriate drugs for their conditions. But officials at the Centers for Medicare and Medicaid Services say the job of monitoring prescribing falls to the private health plans that administer the program, not the government. Congress never intended for CMS to second-guess doctors - and didn't give it that authority, officials said. "CMS's payments don't go to physicians, don't go to pharmacies. They go to plans, which is how our oversight framework has been established," Jonathan Blum, the agency's director of Medicare, said in an interview. The philosophy "really has been to defer to physicians" about whether a drug is medically necessary, he said. Asked repeatedly to cite which provision in the law limits their oversight of prescribers, CMS officials could not do so. The Office of the Inspector General of the Department of Health and Human Services has repeatedly criticized CMS for its failure to police the program, known as Part D. In report after report, the inspector general has advised CMS officials to be more vigilant. Yet the agency has rejected several key recommendations as unnecessary or overreaching. Other experts in prescription drug monitoring also said Medicare should use its data to identify troubling prescribing patterns and take steps to investigate or restrict unsafe practitioners. That's what state Medicaid programs for the poor routinely do. "For Medicare to just turn a blind eye and refuse to look at data in front of them . . . it's just beyond comprehension," said John Eadie, director of the Prescription Drug Monitoring Program Center of Excellence at Brandeis University. "They're putting their patients at risk." Although Medicare hands responsibility to private insurers, experts say they are ill-equipped for the task. Insurers have access solely to the prescriptions for their members - not to a provider's prescriptions across multiple health plans. Only Medicare can see that. "A red flag can turn out to be nothing, or it can turn out to be something really, really horrible," said Kathryn Locatell, a California physician who specializes in geriatrics and elder abuse. "You won't know unless you flag it." In lawsuits and disciplinary records, state and federal authorities cite a number of reasons that doctors prescribe improperly. Some run mills where patients get prescriptions if they pay cash for a visit. Others have relationships with drug companies that influence what they prescribe. Regulators say some doctors choose inappropriate medications under pressure from families or facilities. Research also shows that doctors often don't keep up with the latest studies and drug warnings. ProPublica's examination of Part D data from 2007 through 2010 showed that, in many cases, Medicare failed to act against providers who have been suspended or disciplined by other regulatory authorities. Doctors barred by state Medicaid programs for questionable prescribing remain able to dole out the same drugs under Medicare. So can dozens of practitioners who have been criminally charged or convicted for problem prescribing, or who have been disciplined by state medical boards. 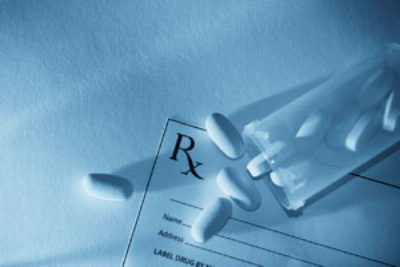 The Part D records detail 1.1 billion claims in 2010 alone, including prescriptions and refills dispensed. ProPublica has created an online tool, Prescriber Checkup, to allow anyone to search for individual providers and see which drugs they prescribe. 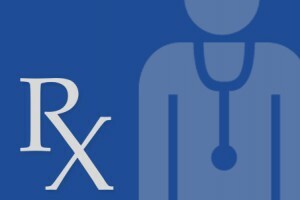 Is Your Doctor in Prescriber Checkup? About 70 providers each churned out more than 50,000 prescriptions and refills in 2010, the data show, averaging at least 137 a day. A few had high tallies because they work in institutional settings, such as nursing homes, or operate busy clinics. In other cases, doctors said they think the prescriptions of their colleagues were attributed to them. They acknowledged in interviews that their numbers should have sparked questions. Some families say they, too, think Medicare should be paying closer attention. When 79-year-old Mable "Nanny" Webb's family put her in a nursing home near Fort Worth in 2004 to rehabilitate her back, she came under the care of Adolphus Ray Lewis, who would later become one of Medicare's busiest prescribers. Records show that the Texas medical board temporarily restricted Lewis's license in 1998 for improper prescribing of painkillers and that he was sued repeatedly for malpractice. But Webb's family didn't know that. While under Lewis's supervision, Webb developed a urinary tract infection that went untreated and was given a painkiller in doses that were excessive and dangerous for her condition, court testimony shows. Within a month, she died. Webb's relatives sued. During the 2008 trial, Lewis admitted responsibility for her death, testifying that he had not reduced the dosage ordered by a nurse he supervised. A jury ordered Lewis to pay $1.6 million in damages to Webb's relatives. They later settled for a lesser amount - one of at least eight malpractice settlements in cases involving Lewis since the mid-1990s, according to court records and interviews. Yet Lewis continued to prescribe, racking up nearly 99,000 Medicare prescription claims including refills in 2010, fifth-most in the country. He wrote 46,000 more under Medicaid that same year. He declined to comment for this article. Webb's granddaughter, Michelle Wheeler, said that though it's too late for her family, information about a doctor's drug choices could help others decide who should care for their loved ones. "Everybody should be able to know that," she said. In his worn Miami office, psychiatrist Enrique Casuso said he has no choice but to give antipsychotics to many of his elderly patients. Often, they are beset with dementia and have been abandoned by their families in understaffed assisted-living facilities. They may dress for work and wait in the street for a bus, he said, when they haven't had a job in a decade. Drugs keep them safe and ease their anxiety, Casuso said: "You have to submerge them in medication to avoid a catastrophic event." But Casuso, 74, prescribes powerful antipsychotics at a rate that other providers and experts call alarming. In 2010, he prescribed more of these medicines to seniors in Medicare than any other physician in the country - 50 percent more than the second-ranking doctor. Three-quarters of the prescriptions were for a single brand, Seroquel, which Casuso said is "less evil" and has less-severe side effects than other antipsychotics. Although antipsychotics are an important treatment for patients with serious mental illness, such as schizophrenia, the Food and Drug Administration warns against their use in dementia patients, citing increased risk of death. Regulators are trying to discourage their use in nursing homes. Casuso also leads the nation in giving seniors powerful sedatives, such as zolpidem, the generic form of Ambien, despite warnings from geriatric experts that the drugs do little to help the elderly sleep and that the medications increase the risk of confusion, falls and bone fractures. Casuso said the pills allow his agitated patients to sleep. Casuso's prescribing patterns have not triggered any intervention from Medicare. In his office, Casuso sits surrounded by mementos of his native Cuba, where he served 16 years in prison for his role in the Bay of Pigs invasion. "I know what it is to be locked in one place," he said. He flipped through a stack of letters from Part D insurers about his patients. Some have alerted him to the government warnings about risks on a drug's label. "They say this medication has a black-box warning on the elderly," said Casuso, raising his hands in a gesture of surrender. "I know! I don't like that. What am I going to use?" Still, none of the letters forbids him from using the drugs. Casuso has continued prescribing the same drugs, and Part D has continued to pay for them. Medicare records show a long list of doctors who routinely prescribe antipsychotics to older patients. In 2010, nearly 340 physicians and other providers accounted for more than 1,000 antipsychotic prescriptions each for patients 65 and older. CMS's Blum said his agency deserves credit for trying to reduce antipsychotic use in nursing homes. But when asked whether the agency was likewise focusing on the doctors who prescribe risky drugs, he said, "Not at this time." The agency declined to comment on Casuso or any of the other physicians named in this article. Florida's Medicaid program has not been nearly as accepting of Casuso's practices as Medicare, public records show. In 2005, the state kicked him out of its Medicaid network using a provision that allows it to end a contract without cause on 30 days' notice. An internal memo justifying his removal said Casuso was seeing up to 81 Medicaid patients a day in addition to non-Medicaid cases. Investigators found cases in which he lacked "awareness or oversight of the medication prescribed," according to the memo, obtained under a public records request. Casuso said he believes Medicaid terminated him because he prescribed a lot of expensive drugs, not because he endangered patients. He suggested that his prescribing numbers are high because some insurers require two prescriptions if patients need a different-strength pill in the morning than at night. Locatell, the geriatrics expert, said Medicare should be doing more to protect patients whose conditions render them unable to question their own care. "They can't watch out for themselves, that's for sure," she said. Congress created Medicare's drug program in 2003 after a contentious, middle-of-the-night vote marked by aggressive arm-twisting and called-in favors. Republicans, led by President George W. Bush, pushed through more spending to lower seniors' drug costs. Most Democrats called the plan a blank check for drugmakers because it prohibited Medicare from negotiating with the companies for lower prices. Typically in Medicare, the government is responsible for contracting with doctors, reviewing claims for treatment and paying the bills. But Part D is different: Patients get their drugs through stand-alone drug plans, which cover only drugs, or through Medicare HMOs that also cover medical services. Medicare pays private insurers a set amount per enrollee to run the program and pay for the drugs. All the insurance plans are supposed to alert pharmacies to potentially harmful drug interactions, query doctors who prescribe high levels of narcotics to individual patients and be on the lookout for fraud, among other things. Medicare also expects the insurers to prevent inappropriate prescribing for individual patients. But it doesn't give them enough information or the tools to do that. With rare exceptions, Medicare does not allow insurers to reject drug claims. It also does not give the stand-alone plans access to their members' medical claims, making it nearly impossible for them to discern if patients have been given the wrong drug for their conditions. Insurers say they must pay for prescriptions from all providers - even those they believe are acting improperly - unless they have been formally excluded from the program. They are asked to refer questionable cases to Medicare's fraud contractor. "It's like tying both hands behind someone's back," said Jerry Avorn, a Harvard medical professor and author of a book on the risks and benefits of prescription drugs. From the start, Avorn and other experts were concerned that Congress was making a mistake by segregating patients' drug coverage from the rest of their care. But Congress, under heavy lobbying by the drug industry, opted for a payment pipeline for drugs, not another layer of bureaucracy. The priority for CMS was to get seniors their drugs. "They just did not want to be accused of letting the Part D plans interfere with a physician's medical judgment," said Thomas Barker, who was CMS's top lawyer when the program's rules were crafted. Told of ProPublica's findings, Barker said it might be time to revisit how the program is run. "We did what we thought would be in the best interest of beneficiaries," he said. "We had no idea what was going to happen." Some of Medicare's most controversial providers have been in the headlines, but it hasn't hindered their ability to prescribe drugs in Part D.
Chicago psychiatrist Michael Reinstein, who works at a string of nursing homes for the mentally ill, was the subject of articles published jointly by ProPublica and the Chicago Tribune in 2009 for giving more of the potent schizophrenia drug clozapine to Medicaid patients than all of the physicians in Texas. Clozapine is the only drug approved for treatment-resistant schizophrenia, but it carries a risk of serious side effects, including seizures, diabetes and the potential for a dangerous decrease in the number of white blood cells. Reinstein, 69, has been sued more than a dozen times since 2005 for malpractice involving patients who died. Neither he nor his attorney responded to multiple requests for comment. Records show that Reinstein's most-prescribed drugs in Medicare were the same as those in Medicaid. From 2007 to 2009, he wrote an average of 20,000 Medicare prescriptions annually for clozapine and a brand-name version, FazaClo, with most going to disabled patients younger than 65. Although he wrote fewer prescriptions in 2010 - 14,000 - the number was still more than double the next-highest prescriber of these drugs. Reinstein was the Part D program's top prescriber of antipsychotics to seniors and the disabled over the four-year period analyzed by ProPublica. Last November, the Justice Department filed suit against Reinstein, alleging that he prescribed certain medicines in exchange for speaking or consulting payments from their makers, Novartis, Teva Pharmaceuticals and Ivax Pharmaceuticals, which Teva acquired in 2006. The suit also accused him of submitting false claims to Medicare and Medicaid. The next day, the state medical board filed a complaint against Reinstein, and Illinois Medicaid suspended payments to him. But he remains able to prescribe in Medicare. That same month, Reinstein defended his prescribing to the Chicago Tribune, saying his use of clozapine was "the best choice" for his severely mentally ill patients. "I am confident that I will be vindicated," he said. Chicago psychiatrist Mark Amdur, who complained about Reinstein to Illinois officials in 2003, said Medicare and Medicaid officials share in the blame for leaving Reinstein's patients at risk. "They know what people are prescribing, or they should know," he said. Miami psychiatrist Fernando Mendez-Villamil's prescribing habits came to light in a 2009 letter from Sen. Charles E. Grassley (R-Iowa) to HHS Secretary Kathleen Sebelius. In Florida Medicaid alone, Mendez-Villamil had written more than 96,000 prescriptions for mental-health drugs from July 2007 to March 2009, more than anyone else in the program, Grassley noted. He asked Sebelius what her department had done about him, and what it does to track the prescribing of others. Months later, in April 2010, Florida Medicaid expelled Mendez-Villamil without publicly revealing its reasons. An internal memo cited concerns about "the volume of patients being seen, and the medications being prescribed." Earlier this year, the Florida medical board accused him of giving patients as young as 3 a variety of mental health drugs without properly diagnosing or monitoring them. 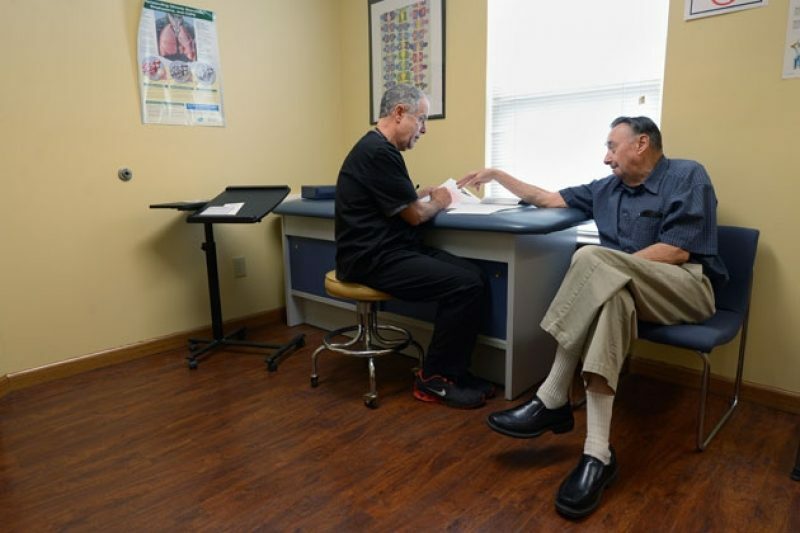 Yet throughout, Mendez-Villamil has remained in good standing with Medicare. Working primarily out of his walk-in clinic, he wrote 6,100 prescriptions for antipsychotics in 2009 and 5,500 more in 2010, records show. Mendez-Villamil could not be reached for comment, but his attorney, Mike Gennett, denied that his client mistreated patients. "We categorically deny any wrongdoing by Dr. Mendez-Villamil in regards to his care of patients or prescribing of medications," he wrote in an email. Mendez-Villamil has requested a formal hearing on the medical board complaint. Sebelius responded to Grassley's inquiry in March 2010, assuring the senator that Mendez-Villamil was under investigation by Medicare's fraud contractor. More than three years later, there has been no public action. CMS did not respond to questions about Mendez-Villamil, saying it could not discuss ongoing administrative or criminal investigations. In an interview for this article, Grassley said it is "kind of ridiculous" for Medicare and Medicaid to take such different actions. "What I expect here is a little common sense on the part of CMS," he said. Medicare does little to stop some doctors with criminal or disciplinary histories from continuing to prescribe to patients. Perhaps the most striking example: its inaction on prolific prescribers of OxyContin and oxycodone, two often-abused narcotics with a high street value. Half of Medicare's top 20 prescribers of OxyContin in 2010 have been criminally charged, convicted or settled fraud claims, or have been disciplined by their state medical boards, records show. Similarly, eight of the top 20 prescribers of 30-milligram oxycodone pills - the strongest dose - have been charged, convicted or barred from prescribing controlled substances, or face discipline by licensing boards. Yet as of today, only one of those doctors has been barred from Medicare - and that wasn't until nearly a year after his conviction for drug trafficking and health-care fraud. Medicare shares responsibility with the HHS inspector general for allowing the doctors to remain in the program. Medicare has not sought authority from Congress to suspend providers from Part D - as experts say it should. The inspector general, which is responsible for excluding providers, hasn't done so in these cases. Criminal charges alone are not enough to bar a practitioner, said Don White, a spokesman for the inspector general. The office must exclude providers convicted of certain offenses, including fraud, and has discretion to do so if they have lost licenses. But White said his office relies on other agencies to flag these cases. "The legal process is sure but not fast," he said. Blum said CMS is now taking steps to search for doctors and patients who may be engaged in fraud involving painkillers. The agency has encouraged insurance plans to send warning letters to doctors if signs indicate a patient may be going to different doctors to feed a drug habit. Former CMS administrator Mark McClellan said Medicare should at least be able to stop paying for prescriptions written by doctors facing fraud charges. "That's the kind of thing that seems like you ought to be able to find a way to deal with," he said. In some cases, after years of inaction by Medicare and others, high prescribers were accused of harming patients. Since 2009, at least five malpractice lawsuits have been filed in Connecticut accusing him of questionable prescribing. A state medical board investigation found that his count of painkillers and other controlled substances - for the 12 months beginning July 2008 - exceeded that of Yale-New Haven Hospital. In revoking Sternstein's license in 2011, the board cited 10 cases in which he had given out painkillers inappropriately, including two in which patients died - one from opiate toxicity, the other from a heart condition that can be associated with drug overdose. In an e-mail, Sternstein said he was a specialist in treating patients whose pain could not be managed by anyone else. "I considered it my responsibility to try and help these individuals in their suffering," he said, noting that he faced no criminal action. In defending himself to the medical board, documents show, one of the doctor's arguments was that Medicare allowed him to prescribe as he chose. "Dr. Sternstein believes Medicare [Part] D allows wide latitude in off label use of medications," the board report states. Since Part D was launched, the HHS inspector general and the Government Accountability Office have grown increasingly worried that it lacks adequate oversight. Several reports have found that Part D is vulnerable to fraud. Insurers have paid for prescriptions from doctors who were barred by Medicare. Separately, in 2007 alone, the program covered $1.2 billion worth of drugs prescribed by providers whose identities were unknown to insurers or Medicare, according to a June 2010 report. The inspector general even found fault with the contractors Medicare hired to dig out fraud: The contractors generated few of their own investigations, relying on outside complaints for direction. Although many reports focus on fraud, analysts also have found that the program was vulnerable to inappropriate prescribing that put patients' lives in danger. A May 2011 report said Medicare has not ensured that Part D paid only for drugs prescribed for FDA-approved and widely accepted off-label indications as federal law requires. About half of the 1.4 million antipsychotic prescriptions made to nursing home patients in the first six months of 2007 "were not used for medically accepted indications," the report said. "There's certainly room for improvement," Robert Vito, a regional inspector general who has directed many of the reports, said in an interview. Medicare should, for example, require that prescriptions include a patient's diagnosis as a way to monitor how Part D drugs were being used, his agency said. But Medicare officials told the inspector general that neither state boards of pharmacy nor private industry requires this practice, so neither would they. CMS also has rejected proposals to require insurers to report suspicious prescribing to its fraud contractor. Such sharing is now voluntary. Medicare's safeguards lag well behind those of many state Medicaid programs. Louisiana requires that doctors include diagnosis codes when they write prescriptions for painkillers and antipsychotics. Similar checks have proved effective in other states. Florida found that antipsychotics given to children younger than 6 dropped when specialists reviewed prescriptions. Even some of Medicare's top prescribers think the program should do more to research unusual or suspicious prescribing patterns. Indiana physician Daniel J. Hurley led the country with more than 160,000 prescriptions under Part D in 2010, ProPublica's analysis shows. In an interview, he said nursing home pharmacies had credited him with prescriptions by other health professionals in his practice, a quirk Medicare should want to address. It's unclear how often this might happen, and some nursing home doctors do write lots of prescriptions on their own. Medicare said it recently addressed this issue, but according to Medicare's own numbers, Hurley's prescriptions have dropped only slightly. "Why wouldn't they call us up and ask us?" Hurley said. "If you hustled, you couldn't come anywhere near that number, nor should you." Several times a week, psychiatrist Robert O. Morton loads his car with plastic bins of medical records and drives to facilities across Oklahoma to care for older children and adults with autism and developmental disabilities. At many of the stops, Morton does something unorthodox: He prescribes patients Namenda, a drug normally given to elderly Alzheimer's patients. "In autism, you'll know that when they get overstimulated, they start rocking and they start flapping," he said. "What we've seen Namenda do is just tone that down." Morton stands out in Medicare's data because two-thirds of his prescriptions for Alzheimer's drugs were written for patients younger than 65 - a greater proportion than any other physician in the country. Morton's prescribing of Namenda does not appear to meet Medicare payment rules, which say drugs can be covered for off-label uses only if they are supported by science and included in one of three recognized drug reference guides. Medicare also hasn't imposed a requirement similar to Oklahoma Medicaid, which requires that Morton and other doctors get permission to give Namenda to patients 50 and younger who do not have Alzheimer's. Several experts in autism and developmental disabilities said there is little support for the efficacy of Namenda as a treatment for autism. No studies have been done on the effects of long-term use of Namenda in children, they said. Fred Volkmar, director of the Child Study Center at the Yale School of Medicine, said he has never prescribed the drug and would be "dubious about the rationale." Alexander Capron, a law professor and medical ethicist at the University of Southern California, said testing new treatments is part of scientific innovation. "But when one moves beyond a single patient or maybe a couple of patients," he said, " . . . you're basically saying, 'I'm doing a study.' "
In a clinical study, patients or their families would be informed about side effects and risks. Morton, 66, said that Namenda calms the behavioral symptoms of developmental disabilities by lessening the effects of a neurotransmitter in the brain called glutamate. Asked if he has written up his findings in a research paper, he said he hasn't had time. Psychiatry has offered Morton a second chance in medicine. His license was revoked twice in the 1990s when he battled an opiate addiction as an internist. "I lost my wife, lost my practice, lost my job, so I had to think about what I really wanted to do," he said. He now is the medical director at an Ada, Okla., psychiatric hospital and sees patients in a variety of other settings. At Oakridge Home in Wewoka, Okla., one of the facilities Morton visits, nursing director Lisa Brown said Namenda has "worked wonders for mood behaviors" in developmentally disabled patients. But even Morton conceded that his practice should have drawn Medicare's scrutiny. "If they see a pattern that's unusual," he said, "they should go look at it." Jennifer LaFleur was ProPublica's director of computer-assisted reporting (CAR).